Benefits: tones, exfoliates, has a lymphatic drainage effect, reduces swelling, removes toxins, bleaches the pigment spots and evens out the complexion, relieves irritation and flaking, normalizes the sebaceous glands, prevents the development of acne, stimulates circulation and cell metabolism, smoothes wrinkles and evens skin texture, thus ensuring its smooth, silky smooth and beautiful color. Considered normal tingling and slight tingling - it's a normal reaction of the skin to the action of the mask that disappears after washing off the mask. Composition: fresh juice from Aloe Vera Barbadensis, living Gracilaria Chilensis, fresh lemon juice, pineapple extract, rosemary extract, tea tree oil, lemon oil, sweet orange oil, citronella oil, natural glycolic ACID, water. Mask Royal - is an ambulance for your skin when you need to gently and at the same time effectively remove shallow wrinkles, even out the complexion, improve skin tone and restore skin to its former smoothness, elasticity and youthfulness. Mask - peeling with natural fruit acids derived from sugar cane, pineapple and lemon - this is the product that can quickly remedy the situation and to those who have a tendency to acne, dermatitis and various seasonal rashes. In addition the mask gently exfoliates, it starts processes neocollagenesis, stimulates the production of elastin own and other useful compounds. As a result - you get a healthy level of skin color, turgor aligned and fine lines you will say, "Goodbye. "The mask is not recommended to use in the presence of skin lesions (wounds, scratches, etc. ), in the acute phase of herpes and rosacea. Within two - three days after applying the mask must use a sunscreen or eliminate exposure to the sun. Take one full spoon for desserts and warm on a steam bath (for 3-5 minutes), stir until gel is warm, thick and smooth. Leave in for 10-15 minutes. Rinse with warm water using a sponge. Gracilaria Chilensis: Gathered in the depths of the Pacific Ocean Gracilaria Chilensis – is a storehouse of minerals: iodine, manganese, boron, fluoride, molybdenum, selenium, copper, zinc, iron, potassium, magnesium, sodium, vitamin B5. They contain a variety of essential vitamins and minerals. Algae extract has an important mission of controlling of metabolic processes at the cellular level, restoring and energizing every cell. Ingredients of the sea grass consist of large quantities of natural pigment carotene, which evens out the skin and gives it sunshine brightness. Riboflavin and niacin restores the damaged epidermis, as well as getting rid of wrinkles, age spots and roughness. 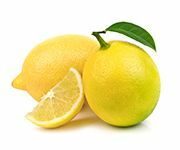 Citrus Medica Limonum Juice (Lemon): Amazing lemon - juicy, fragrant and beautiful fruit has long been known for its healing properties for each inhabitant. Invigorating, refreshing, rejuvenating, healing and simply delicious and it is not a complete list of its beneficial qualities. He has an antioxidant and antiseptic effect, which is especially important in the detoxification of the skin, thereby making the person healthy and glowing. 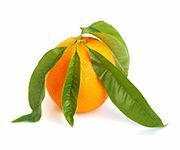 Useful product contains citric acid, which belongs to the group of alpha-hydroxy acids, it kills the bacteria that cause acne and prevents the development of acne and pimples. The juice is an excellent remedy for whitening pigment spots, and promotes the growth of new cells, due to the soft peeling, thanks to this person acquires a nice even color and the skin soft and supple. Ananas Sativus Fruit Extract (Pineapple): Both adults and children love juicy and sweet pineapple fruits. 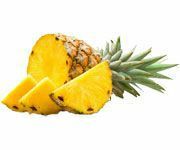 Actually, there is a reason to love them: pineapple is rich in vitamins and minerals, and valuable organic acids and sugars. It contains vitamin B complex; C, PP, E vitamins, as well as provitamin A, potassium, magnesium, and other essential minerals and microelements. However, the most valuable part in its composition is the enzyme complex called bromelain. That is why pineapple has unique anti-edematous and anti-inflammatory properties, is effective in combating acne, dermatitis and urticaria. 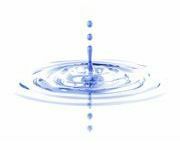 It is able to dissolve dead skin cells. Therefore, it works as a gentle exfoliator dissolving, increasing tissue permeability and cellular metabolism. 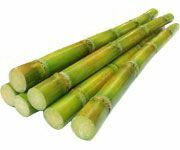 Glycolic Acid: Glycolic acid is a type of fruit AHA acids derived from sugar cane and has a reputation as a very effective means to exfoliate the epidermis, reduce pigmentation and acne treatment as well as to reduce wrinkles. Glycolic acid molecule is very short, so it easily penetrates the skin and starts the processes neocollagenesis (collagen), stimulates the production of elastin and other useful compounds. As a consequence, improves color of the skin, reducing its prominence, and fine wrinkles may disappear altogether. Moreover, the glycolic acid contained in the molecules of the alpha-hydroxy acid, making it more and excellent moisturizer. Stimulating the skin's own reserves, increases the production of hyaluronic acid (a powerful moisturizing agent) and normalized physiological rhythms of cell renewal in the basal layer. Linalool*, Citral*, Limonene*, Geraniol*, Citronellol* - from natural essetial oils. Important! Fresh herbal Royal Mask should be stored at temperature 3˚ to 7˚С. Once you have opened the package you need to use mask within 45 days - this is due to lack of synthetic preservatives inside. The product can be used within 5 months from the date of manufacture.